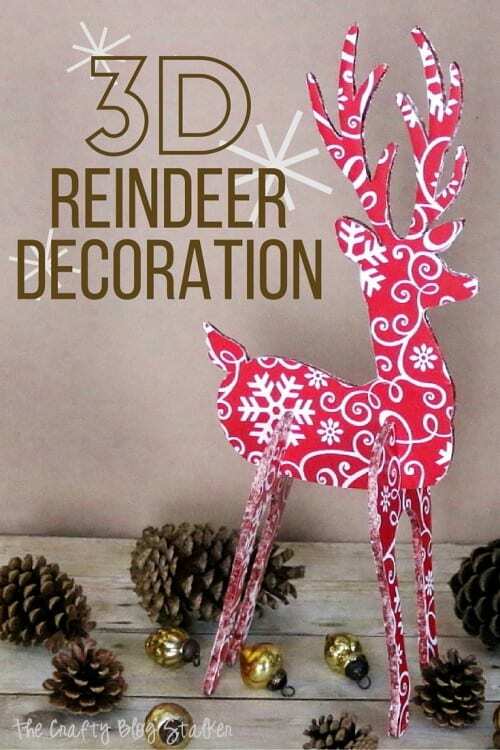 Learn how to make a 3D Reindeer Holiday Decoration that will add to your holiday decor. 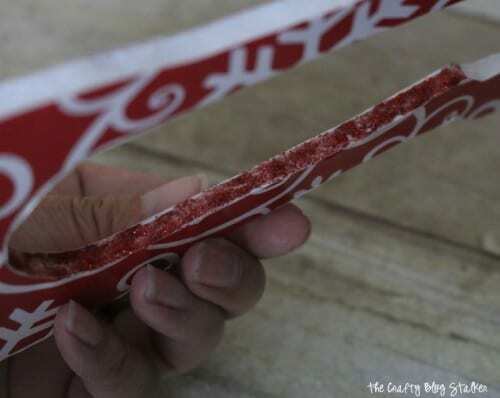 An easy DIY tutorial idea that is a perfect Christmas Craft. When I was a little girl we had a 3D reindeer that was made of wood, I think my oldest sister painted it. It was one of my very favorite decorations and I would put it together and take it apart over and over again. 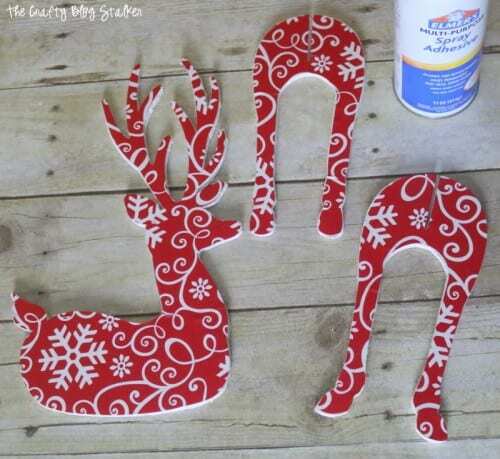 I couldn’t help but think of that reindeer decoration over and over again as I was in my studio crafting today. 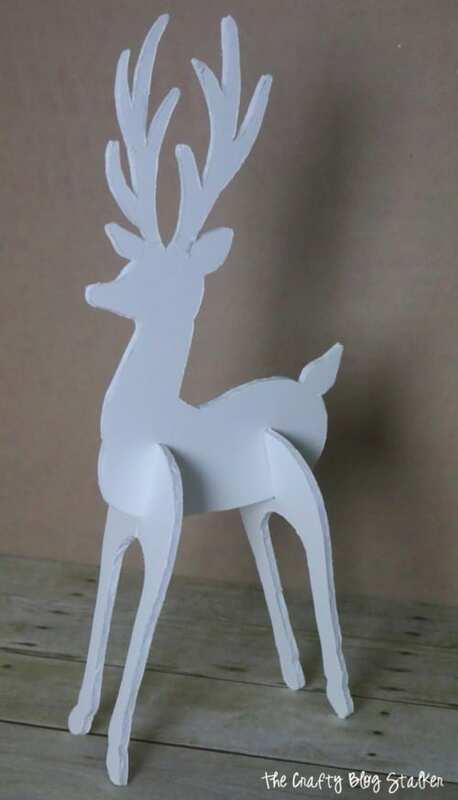 That memory is what inspired my own 3D Reindeer Decoration. I love to make my own decorations for Christmas because it gives me time to think and reminisce of past Christmases. This project started when I was browsing Cricut Design Space for some holiday inspiration. 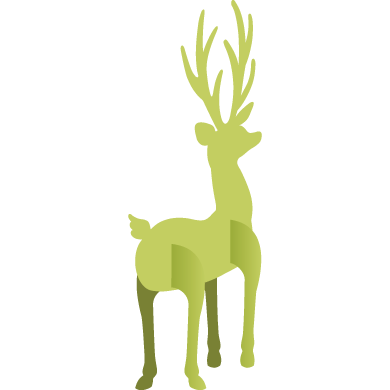 I came across this file called Deer Stand-up Icon. Isn’t he cute? 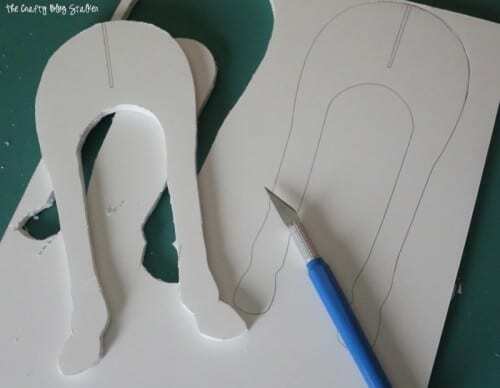 That is when I had my idea to trace the cut-out onto foam board to make him a bit more sturdy and dress him up with wrapping paper. 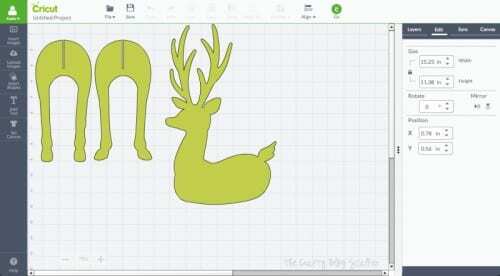 I wanted my reindeer as big as I could get it while still using my 12×12 cutting mat. I ended up stretching it to where the file would have to be cut out on two sheets of 12×12 cardstock. The body on one and the front and hind legs on the other. Here are my pieces once cut out. These became my pattern pieces. I used my pattern pieces and traced around them onto my foam core board. With a craft knife, I went around each line and cut the piece out. This was the most time-consuming part. I did have to cut the slit on both of the leg pieces a little bit wider than marked, and when assembled my cute little reindeer already looks awesome! I decided to cover my reindeer with wrapping paper because I would need 4 sheets of matching scrapbook paper, and I wasn’t sure I had that. But I knew I had enough wrapping paper. 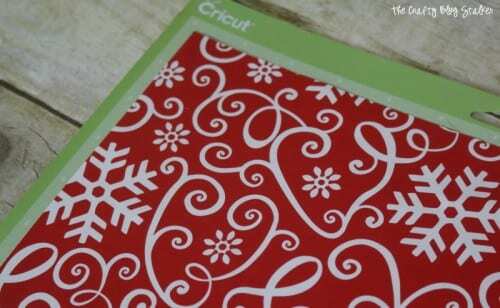 Did you know that you can run wrapping paper through your Cricut? You totally can, but I would recommend using a mat that doesn’t have a lot of stickiness left to it. Wrapping paper is much thinner than regular paper and if you have a new or super sticky mat, it will be difficult to remove the wrapping paper without tearing it. 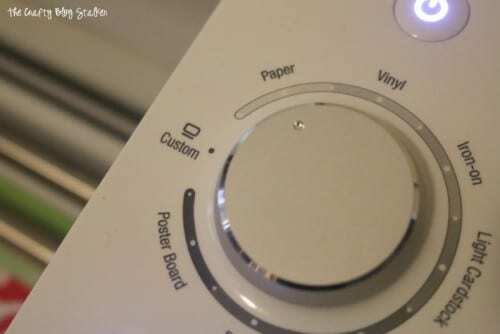 Put your Cricut on the paper setting, and cut. I kept my file the same size as my pattern pieces and just cut them out of the wrapping paper. 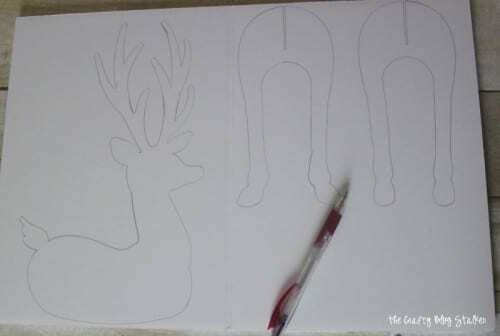 Then I went back in and mirrored the file and cut out another set so I could cover both sides of the reindeer. To adhere the wrapping paper pieces to the foam board,, I used Multi-Purpose Spray Adhesive. I thought of using liquid glue, but I didn’t want my paper to bubble because it was wet. The spray adhesive worked perfectly. To hide the stark white edges I applied some Red Glitter Glue all the way around each piece. I put a bead along all of the edges and spread it out using a thin paint brush, only focusing on one small area at a time. To dry, I balanced each piece on top of a couple of acrylic paint jars. I did this so the glitter glue wouldn’t drip and dry the pieces to my table. I let the glitter glue dry overnight. The next morning I assembled my majestic reindeer, Prancer. I couldn’t be more pleased with how my 3D Decorative Deer turned out. What was your favorite Christmas decoration you played with growing up? Share and leave a comment below! 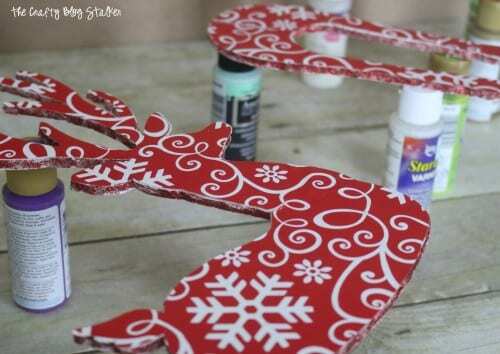 SAVE HOW TO MAKE A 3D REINDEER DECORATION TO YOUR FAVORITE PINTEREST BOARD! great job, cutting out that shape from foam core can be a little bit difficult! thanks for sharing on craft schooling Sunday! You’re right, cutting the foam core wasn’t my favorite part, but I love the finished result! This is absolutely adorable! 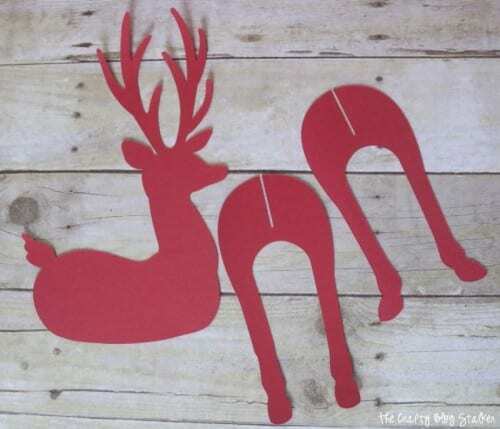 I’m having trouble finding this cut file on the cricut design space. I have searched every which way and cannot find Deer Standup Icon? Please help! I love this and want to make it so bad! I am so glad that you like it. I would love to see yours when you are finished with it! It is called Deer Stand-Up Icon #M524E46. This is adorable! You are one crafty lady! Thank you for sharing with us at Brag About It! How cute is this? So creative and pretty, and I love that you can totally customize it with all kinds of different paper patterns! You totally can! I loved that too. There are so many different paper options out there! Wow, this is such a great deco idea!! Have to make this, too! Thanks for sharing your tutorial with us! I am so glad that you like it. I would love to see yours and I may just share it on facebook! Every time I see your reindeer, it brings a smile to my face! Congratulations – I’m happy to announce that you are one of our Featured Guests at this week’s Inspire Me Monday Party #205 at Create With Joy! Beautiful ! 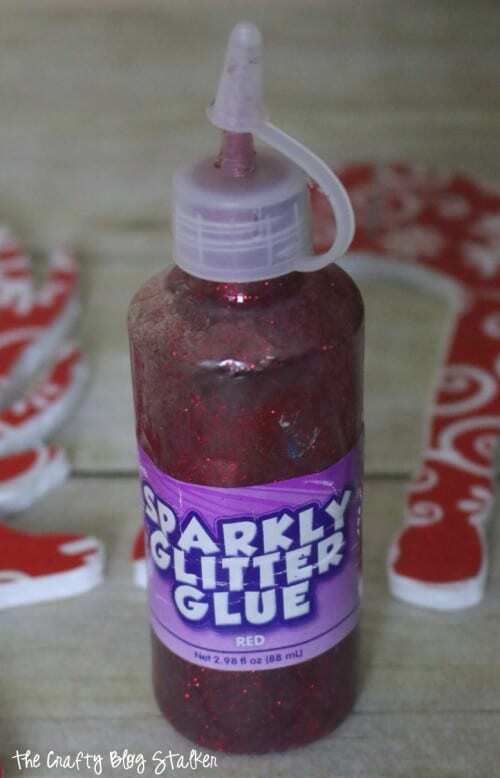 I would love to have you share at my craft link party: http://craftymomsshare.blogspot.com/2015/12/handmade-christmas-craft-book-review.html! He is gorgeous! 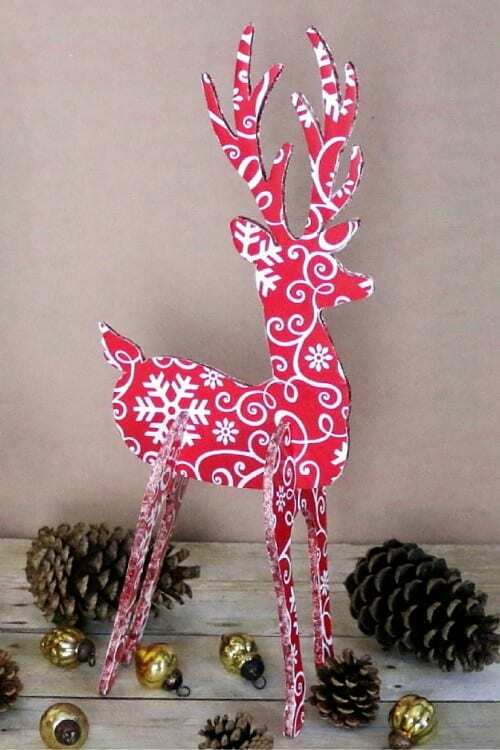 The wrapping paper idea is so great, and of course makes the perfect pattern for your Xmas-y deer! Thank you Michelle! I am so glad that you like my Reindeer! Thank you Sarah! I am so glad that you like my 3D Reindeer. Thanks for stopping by!